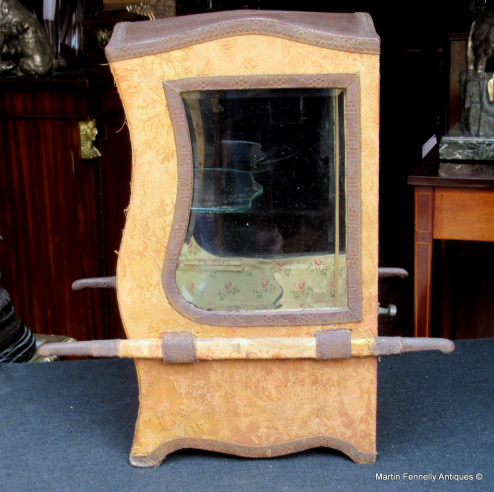 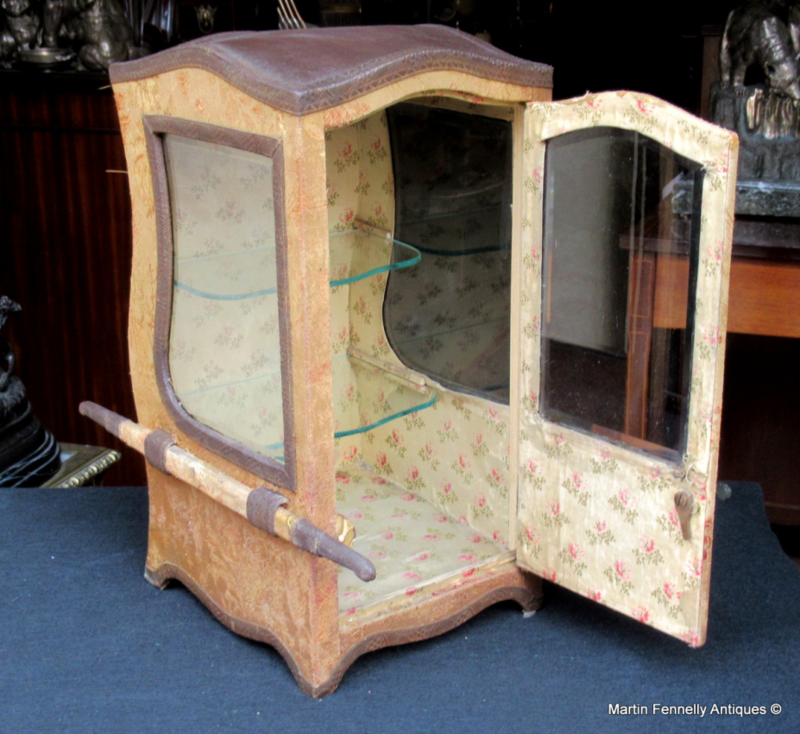 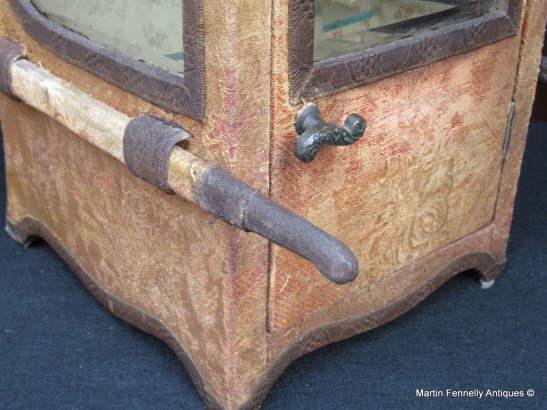 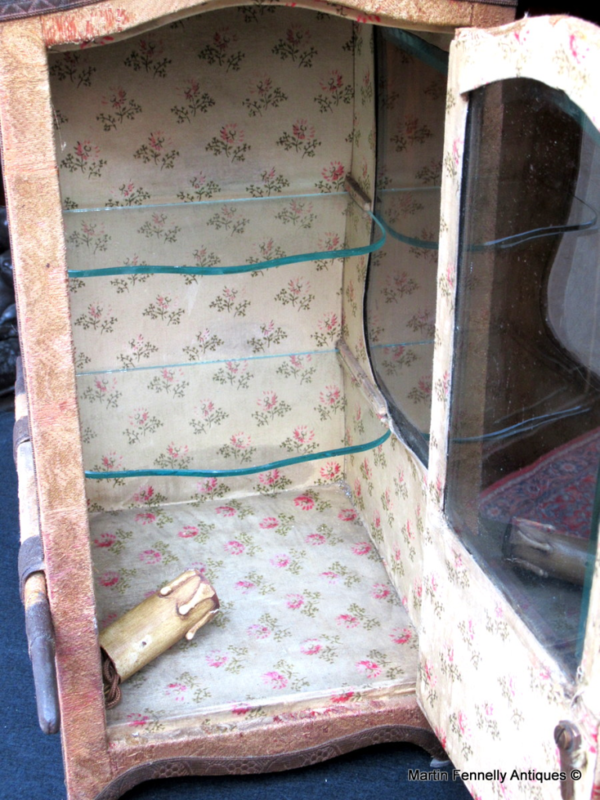 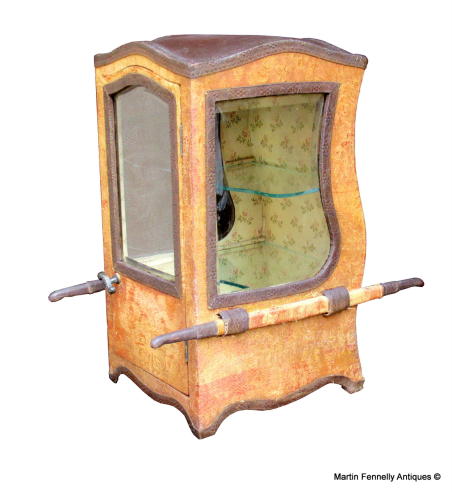 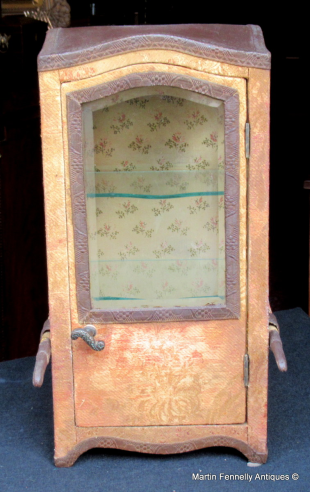 A late 19th Century French Vitrine Cabinet in the form of a miniature Sedan Chair. With three bevelled glass windows, covered in Regency fabric, the hinged door with S saped handle enclosing an interior of floral brocade The interior with twin glass shelves for display and carved carrying handles to the sides.This is a little curiosity and also has a surprise as at some stage in its history it was electrified and wow when illuminated makes for a very strrinking view. 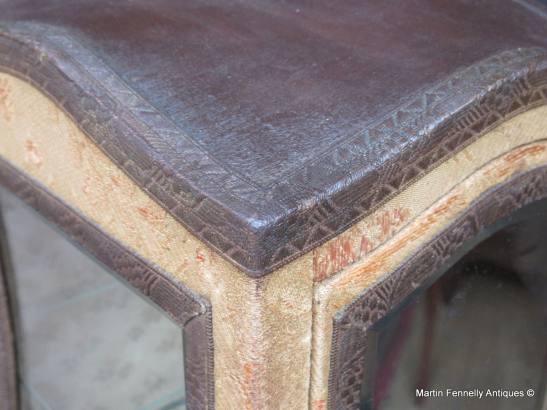 It is also a large example of its type and very collectable.